First impressions count and the bubbly receptionist who showed us around here couldn’t have been more friendly – an excellent introduction to what is a very solid midrange option on Haad Sarikantang. Ad Book now! Rates from US$100++. Average rating 8.3 from 537 reviews. The older rooms are to the east of reception running down towards the beach and a somewhat uninspired freeform pool, while newer rooms are in a hotel-style building to the west, some of which open straight onto a second horizon pool with a better beach outlook. This is a very family-orientated resort, with kids’ books and a play area in the beachside restaurant, and plenty of children in the horizon pool by the newer building. Air-con throughout, superior rooms are spacious with an earthen scheme and well fitted out with low-slung, firm beds and crisp white linen, flat screen TVs and terrific white rope hammocks on the deck out front. Not all rooms have a tub, so specify that if you need it. The standard rooms are further back from the beach and slightly smaller, while the main deluxe rooms are in the modern poolside hotel building. 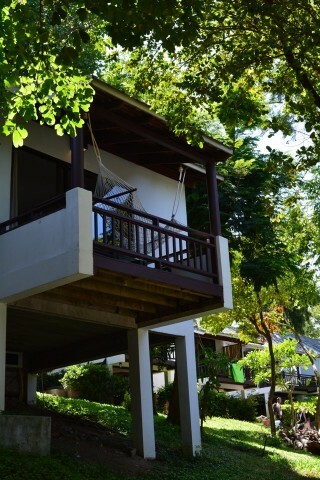 Sarikantang also has a very well-placed spa and massage centre right beside the beach, where you can enjoy a rubdown while taking in one of Ko Pha Ngan’s most beautiful beaches. With more reasonable rates than Cocohut Beach Resort next door, this struck us as a very good option for families with young kids and in high season reservations would be a very good idea.